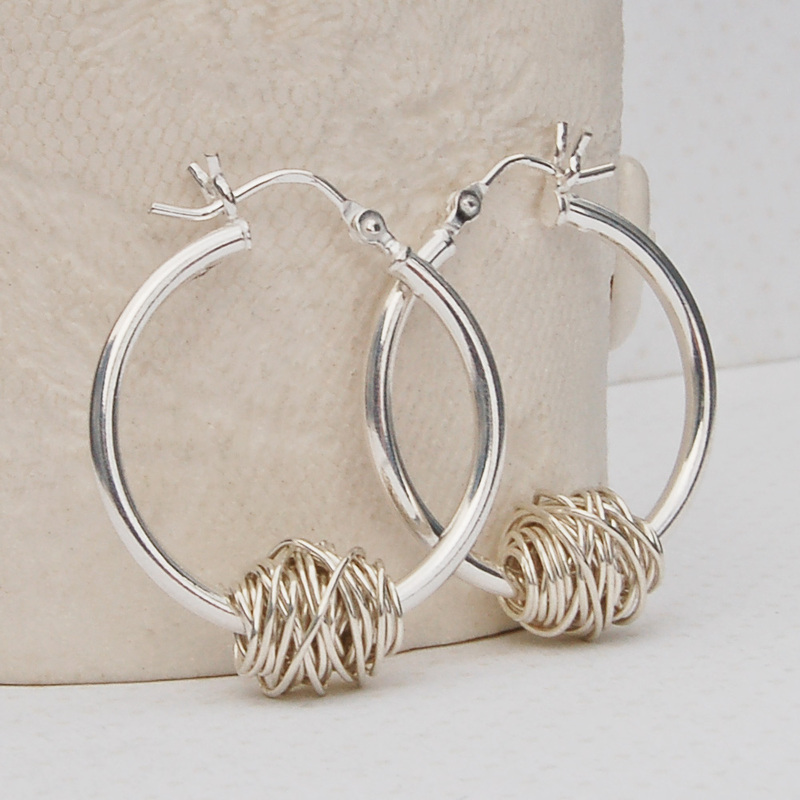 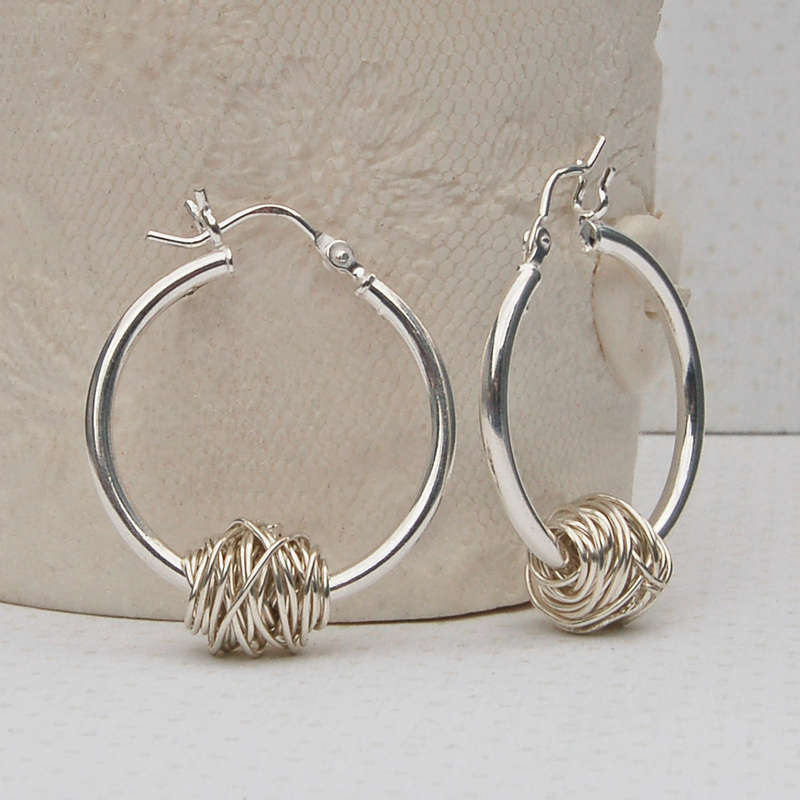 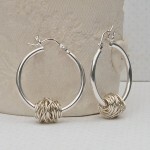 A simple and striking pair of sterling silver hoop earrings with handmade wire wrapped beads. 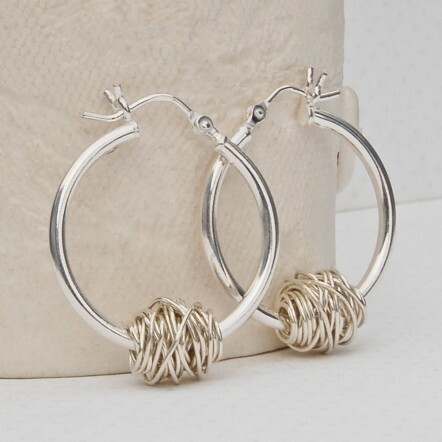 From our Entwined collection these stunning earrings are made from lengths of sterling silver wire which is carefully hand weaved and woven into delicate, slightly oval shaped beads and threaded onto sterling silver hoop earrings allowing them lots of movement. 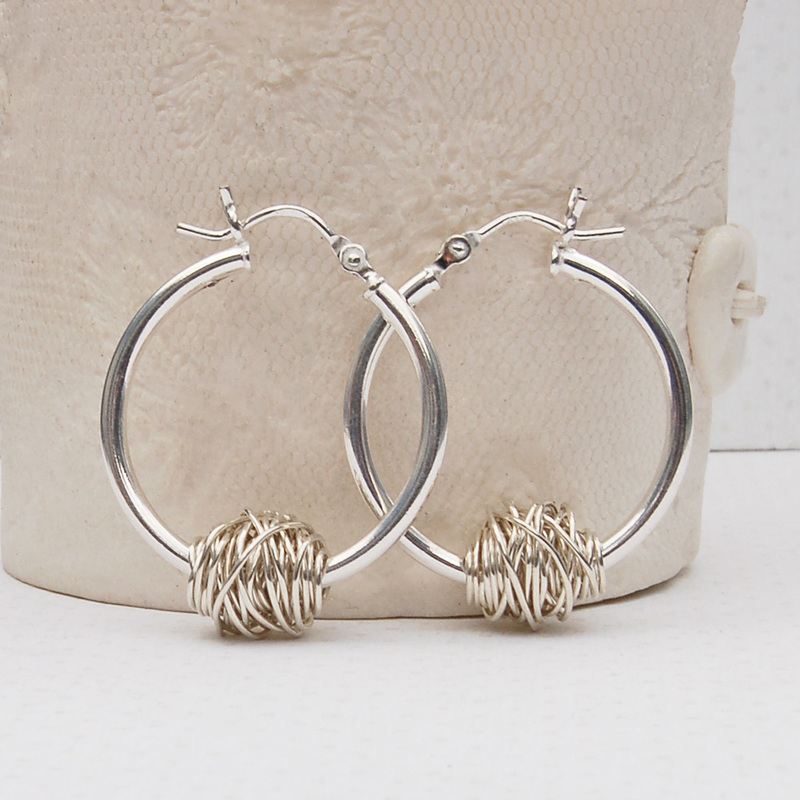 Each wire wrapped bead will be uniquely different, like our journey’s through life, with the wire taking different twists and turns which are all inseparably woven together.These contemporary earrings are simple enough for everyday wear but striking enough to be a little bit different and the style goes with everything. 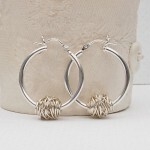 These Entwined earrings are also available with 14ct Rose Gold Fill Beads and 14ct Yellow Gold Fill Beads. 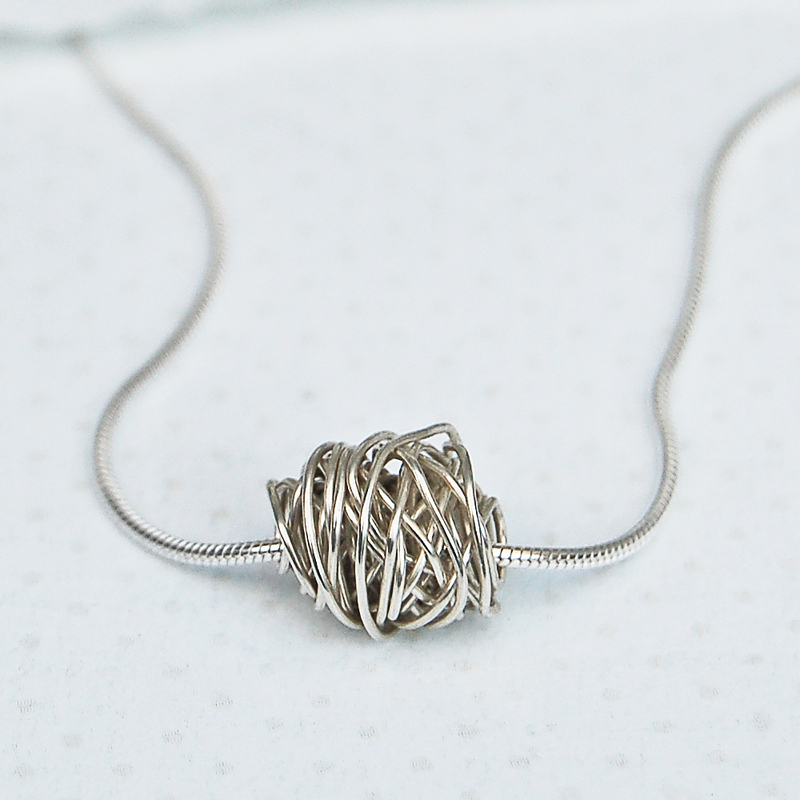 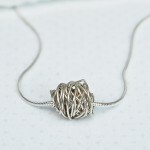 A matching Sterling Silver Entwined Necklace is also available and a discount will be applied if purchased as a set.